THEY STOLE HIS FUTURE. 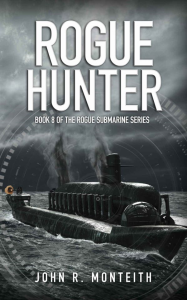 HE STOLE THEIR SUBMARINE. The accident changed everything… One moment, Lieutenant Jake Slate was going about his duties aboard the ballistic missile submarine, USS Colorado. 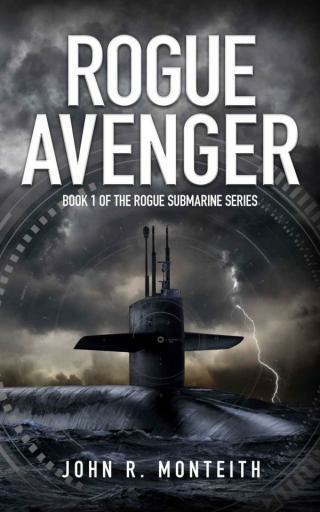 The next second, he was sprawled on the deck plates in a spreading puddle of blood and hydraulic fluid. But it wasn’t the injury that ruined his life and doomed his military career. It was the rescue effort. Now he’s being thrown to the wolves to cover up the misdeeds of a superior officer, and Jake doesn’t care for the role of sacrificial lamb. 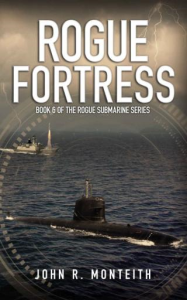 Blinded by rage and unsure of his future, he finds himself at the center of a treacherous plot to hijack the Colorado and sell her nuclear warheads to a foreign power. Jake no longer knows who he can trust. He doesn’t know what the future holds. He really only knows one thing. He will have his revenge. 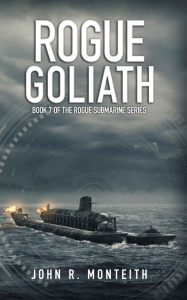 Book 1 of the Rogue Submarine Series… Rogue Avenger (2005), Rogue Betrayer (2007), Rogue Crusader (2010), Rogue Defender (2013), Rogue Enforcer (2014), Rogue Fortress (2015), Rogue Goliath (2015), and Rogue Hunter (2016).